Long before Twitter and Facebook (let alone computers! 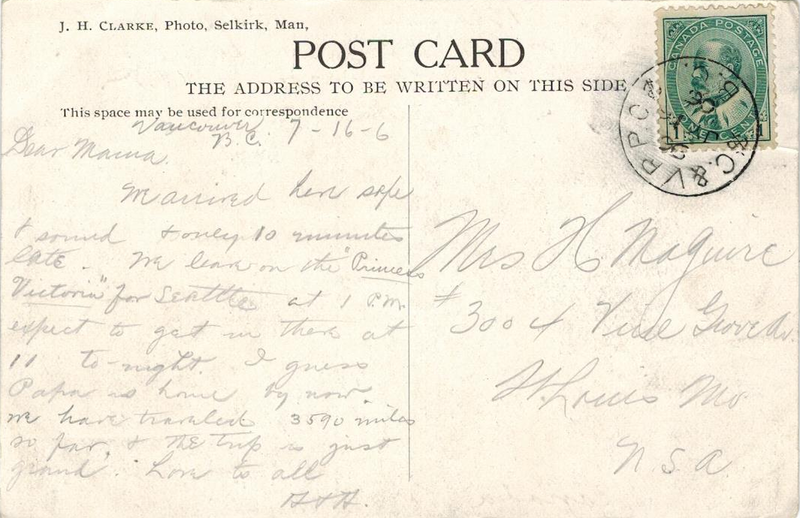 ), people used "penny postcards" (also called "postals") to send short messages, quick thoughts, and brief acknowledgments, often as an interim between letters. Letters, of course, contained "full" correspondence. I own an album of vintage postcards that begin in 1906 (the Gibson Girl era! ), with the last card posted 1953. I thought it would be fun to share this vintage treasure with you. It is a journey to another time, looking at another life in snippets. The life we are going get a peek at is the original collector of the cards, Miss Lillian Martha Maguire (born in 1882, died in 1974). 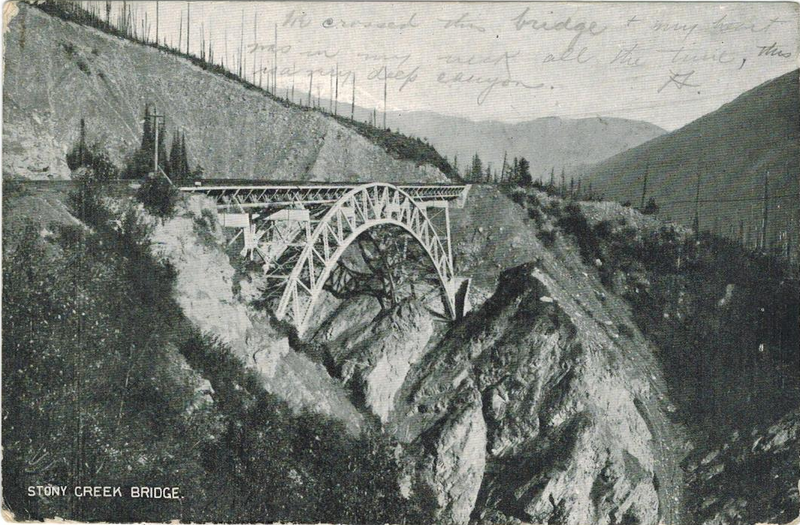 The cards are mostly messages beween her and family and friends, while some are simply a record of places she visited (the images on postcards served as a record, in those days before people commonly had cameras). How did I come to own these? Miss Maguire was an elderly neighbor who lived two doors up the street from the house where I grew up in Seattle (back in the 1950s and 1960s), and was single all her life. She was a member of the same church as our family (St Benedict's Catholic Church), and upon her death, she left her estate to the church. From the estate my mother purchased the album of postcards and a painting (I'll talk more about that in a later post). When my mother passed away about 10 years ago, I inherited both the painting and this album of postcards. That was a bit longer introduction than I had planned. I hope that you find this series interesting. :) Let the journey begin! We arrived here safe & sound & only 10 minutes late. We leave on the "Princess Victoria" for Seattle at 1 P.M. expect to get in there at 11 to-night. I guess Papa is home by now. We have traveled 3590 miles so far, & the trip is just grand. Love to all. We crossed this bridge & my heart was in my neck all the time, this is a very deep canyon. A. What a neat series! I can't wait to see more into a life of the past! This is such a great idea for a series. I am glad you share these postcards with us. Thanks, Salvia! I am enjoying the sharing so much, from my side of this. It is like putting together a life-story puzzle together of someone I knew only as an elderly neighbor when I was just a young girl. :) Unfortunately, I only have these bits and pieces, but it is fun to imagine what might fill the gaps.